Get the Counseling Skills to Serve Individuals & Communities. Learn More. The field of human services is fairly broad and, to many, may be a completely new concept. It can be a hugely worthwhile and rewarding discipline to study and suit anyone who aspires to help other people meet their basic needs with dignity, work with individuals to provide positive life experiences, and work with children and family services, amongst other areas. There is a wide range of careers to consider upon graduation that will allow you to make a difference to those who need your help, support, and knowledge. What is a Master of Human Services? Human services is about meeting the needs of humans. This degree is about gaining an interdisciplinary knowledge base that will equip you with the tools required for helping others at a high standard, as well as enabling you to identify ways in which you can prevent and remediate problems. It is also about learning ways in which you can help to improve the overall quality of life for people through the work that you do, whether it’s in human resources, social work, or with nongovernmental organizations (NGOs). You may find yourself working within either the public or private sector upon graduating, and these roles can vary from leading and managing elder care services to working in corrections facilities. During your MHS degree program, you will likely cover areas including the art, science, theory, and practice of human service studies, how to work with groups and communities, social policy and inequality, human service management and development, designing and assessing human services programs, interventions, community building, and employee assistance programs. Alongside taking a set of core courses, you will be able to tailor your degree toward your own interests and career goals through elective courses and concentrations. If you’re interested in becoming a health care leader, working in human resources, taking on a caregiving role, or working with nonprofit organizations — to name just some of the opportunities — then this degree is for you. Studying human services can provide you with the skills needed to work as a practitioner within a variety of professional services, including — but not limited to — youth programs, mental health organizations, social services, and family programs. Although social care services may seem as though they’re directed solely for protecting children, they cover the welfare of people of all ages, including those suffering from illness or addiction. Often the goal of those working in social care services is to coordinate the best action plan possible according to the family unit or individual. Gaining a master’s in human services (MHS) can help you turn your passion into a profession, enabling you to improve the delivery of services and quality of life for the organization or individuals you work with. You will serve as an advocate for those who need it most, excelling not just professionally but also in your own personal development. Why earn a master’s in human services degree? There is a wide variety of careers available to those who earn a master’s in human sciences degree. Given the broad and flexible nature of the degree, it does not restrict what career path you must follow upon graduating. The knowledge and skill set it provides can be highly valuable, and their transferability means you can apply your degree to an array of sectors.Human services includes working with the mentally ill, disabled, elderly, families, and children. It can involve working in either the public or private sector. You may find yourself working with businesses, for example, running their human resources teams, or assisting charities or nonprofits. There are also opportunities to work with government organizations, including through social services work and consultancy work. Although human services roles don’t always require candidates to have a graduate degree, there are benefits to earning an MHS. Largely, holding a postgraduate degree will mark you as being someone who is keen to develop their skills, advance their knowledge, and advance toward a management or executive level.According the U.S. Bureau of Labor Statistics, many employers prefer social and community service professionals to hold a master’s degree. Employers may require a master’s degree in human services, or a related field, including social work, urban studies, or public health. Holding relevant academic qualifications is generally required, and a master’s degree can be of great benefit. Work experience or volunteer work is also highly respected and desired. Regardless of what career you end up choosing, an MHS degree gives you the opportunity to make a difference. It can lead to a people-oriented jobs where you can consistently improve people’s lives in a way that is long-standing and far-reaching. Generally, you will need a background in psychology, community service, or sociology to enroll in a master’s in human services program. However, other disciplines may be relevant if you have experience at a human services organization or business. You will also need to participate in a work placement and may need to complete a final project or capstone in order to graduate. How long does it take to earn a master’s degree in human services? The length of time needed to earn an MHS varies depending on the institution. Some programs can be completed in as short as eight weeks or 36 credit hours while others (more typically) can take up to two years to complete if studying full-time and three years to complete if studying part-time. What else should I know about a master’s degree in human services? Given the broad sphere within which human services falls, an MHS degree can provide you with a wide range of career prospects and opportunities. It can be applied to a number of industries and will equip you with a set of core skills that can be transferred to a variety of other marketplaces. Ultimately, it is a very rewarding sector to work in, and many report being extremely satisfied with their jobs. Who benefits from a master’s in human services? A master’s degree in human services is suited to anyone with a desire to help improve the lives of other people. It can lead to caregiving roles in which being a naturally empathetic, supportive individual with strong interpersonal skills will help you succeed. If you are seeking employment in a role that involves working with people — for example, child support services, aging services, or family services — a master’s degree in human services can give you the training, skills, and knowledge needed to advance your career. There are many reasons why you may choose to enroll in an MHS program. Perhaps you have recently completed your undergraduate studies and are determining your next step. A master’s degree is a great way of standing out from the crowd and improving your career opportunities and salary expectations. It can aid you in securing better positions faster and provide specialist skills. A master’s degree is also needed if you are interested in studying at a doctoral level. Alternatively, you may already have professional experience working within the human services sector. Perhaps you are interested in pursuing further training or academic study to advance your knowledge and gain additional qualifications. Although many careers within human services may not require a master’s degree, an MHS can better your employability and allow you to stay current in the latest research. An MHS can give you the opportunity to gain expert status in fields of interest. It can also be beneficial if you want to change careers or pursue a promotion, as you can specialize your degree to fulfill specific knowledge requirements. Some fields within human services prefer to hire those with advanced degrees. What are the types of careers you can expect in human services? When it comes to human resources, there are a number of careers you can consider. You can expect to work in a range of sectors including both public and private. You may find yourself working with charities, organizations, hospitals, care homes, correctional facilities, court systems, businesses, NGOs, and government. The national accrediting body for human services programs — the Council for Standards in Human Service Education (CSHSE) — has a specific guideline for a master’s degree in human services curriculum. The program must prepare human services professionals in order to serve families, groups, individuals, and organizations or be able to support human services organizations. There must be an explicit philosophical statement with a well-defined knowledge base. The program must include assessments, and be responsive to changes in the evolution in the profession and its policies. The program must employ self-evaluation procedures to ensure that it is as effective as possible, and it must be capable of evolving with new industry standards. Enable students to develop awareness of their own personality, interpersonal style, values, limitations, reaction patterns, etc. If you have a particular career goal or prior work experience, it can be useful to factor a specialization or concentration into your human services degree. Not only will you gain a specialist set of knowledge, which can be tailored to your subject area of interest, it can also serve to benefit in areas such as starting salary and employment demand.For companies and organizations, candidates with specialist skills are particularly attractive as they have core knowledge to a high degree. They are able to serve as experts on a particular subject area and bring more value to a business. An online program is another option for students who are already employed or who are unable to move or travel to a university. A virtual learning environment typically offers classes that take place in the evening or other convenient times.In most online programs, you will be able to work and collaborate with other students via the internet, and you will also have the same access to highly skilled academic lecturers, tutors, and staff to guide and support you in your studies.An online master’s degree in human services is flexible, highly interactive and often just as engaging as any campus program. Most offer a solid curriculum, including multiple electives, and you will still be able to specialize your studies. This can enable you to focus your degree on your interests and career goals. While an online master’s in human services degree program provides more freedom, it is important to review the program’s specific requirements. For example, do you need to take part in practice-oriented, work-based experience and a capstone service-learning project? It is important to establish if this can be accomplished in the area in which you live or if you will need to have a campus residency. If you’re not sure, a program administrator will be able to talk you through the program. If you’re not sure whether human services is the right area for you, you may consider other options. Taking on a master’s degree is a big decision in terms of cost, time commitment, and effort. It is important that you make the right choice to meet your career goals and that what you learn will be of benefit to you throughout your professional life. When researching a master’s degree in human services, it is helpful to explore industry associations to gain a bigger picture of this sector. These associations help bring together like-minded individuals and academics by providing support through networking, career events, and educational advancement. It is also important to determine whether your chosen university has any industry connections, as this can assist with gaining better work placements, meeting pertinent individuals, and attending industry events. Currently, there is only one main accrediting body servicing the human services degree programs, the Council for Standards in Human Services Education (CSHSE). It is highly regulatory and determines what standards the program provider must meet in terms of academic staff and the training they receive; the way in which a program is reviewed, evaluated, and upgraded; the manner in which students are admitted to the program; how assessments are conducted; and more. The CSHSE also put in place strict guidelines for what a program should cover and how it should be taught. This assures that all students who follow an accredited human services program have access to an equal and clearly outlined level of higher education.If a program does not meet CSHSE guidelines, it may not be respected by other institutions and employers. Attending an unaccredited program could potentially cause missed job opportunities over someone who has studied with an accredited institution and can demonstrate they have followed a strict program. During the late 1950s and 60s, it became apparent that changes were essential in terms of helping those in need. Groups of people such as the elderly, disabled, substance abusers, unemployed, and at-risk children were in need of social and rehabilitation services.It was around this time that the mentally ill population was beginning to be deinstitutionalized and, rather than having to live in state mental hospitals, could now be treated from home. The civil rights movement around this time also started to draw attention toward social justice and equality.In 1956, the National Institute of Mental Health introduced the first associate degree program in mental health. Realizing there was a demand for educational programs in this sector, this program became one of the first human services programs to be introduced across the country. Soon after, many colleges and institutions began introducing two-year degrees in human services (occasionally called mental health degrees). Today many universities offer advanced degrees in mental health and human services, on campus and online. Human services is a very broad field, but its main goal is to help populations and individuals function in their communities and environments as effectively as possible through guidance. Professionals working in this field are needed to help others, especially in times of crisis. They address the quality of different programs or services, while also improving the accessibility and outcomes of said programs. What is a master’s in human services? A master’s in human services is a degree program that allows students to understand how to effectively make a difference in their community by studying different methods used in the human services field. These methods directly correlate to social welfare, human development, and communication. Students pursuing a master’s degree in human services have the opportunity to strengthen their communication, collaborative, and analytical skills. The perfect candidate to pursue an MHS degree is ultimately someone who wants to help others. While a human services professional’s responsibilities are as wide as the needs of their client base, a Master of Human Services is made for individuals who want to make a positive impact on their community. Who are human service professionals? What educational background do I need to qualify for an MHS? While many MHS programs do not require a specific undergraduate degree to be accepted into their program, an undergraduate degree in a related field, like social work, psychology, or another social science degree may have advantages. The ability to understand how people think or why they may act a certain way may help you understand and help your clients in a more positive way. What professional background do I need to qualify for an MHS? Professional experience requirements will vary from program to program. Some universities may require anywhere from 1-5 years of relevant human services experience, while others will not. There’s no doubt that professional experience will allow you to take what you’re learning in the classroom and identify past experiences where you may have used different theories or practices, but there are a plethora of programs that will not deny your acceptance because you do not have extensive work experience. How can an MHS add value to my career? The theories and methods of practice that you learn through an MHS program can allow you to connect better with future clients as you help them navigate life’s difficult situations. Many MHS programs offer different specializations or concentrations with curriculum designed for those specific audiences. For example, if you have a desire to work with children in need, there are many programs that offer specializations like Family Studies and Intervention or Child Welfare, with curriculum focused on how to deal and interact with that population. Earning a Master of Human Services can help broaden your professional opportunities as it equips you to move into higher leadership roles in different environments, or you could work alongside policy makers to change social policies. It is becoming more common for individuals to pursue a master’s degree to increase their competitive edge for lower-level jobs that will allow them to move up the ranks more quickly. By getting their foot in the door, even at the bottom, they are able to prove their worth and show the skills they’ve learned and strengthened through their master’s degree. What is the career growth/outlook for those working in human services? What should I expect to learn in an MHS program? The nature of human systems at the individual, group, organization, communal, and societal level and how these different human systems interact. By understanding this interaction, professionals in human services are aware of the dynamics and structures in different settings. The conditions which promote or limit the healthy functions of individuals and groups. By understanding the conditions and causes of specific situations and health models, human service professionals are better equipped to create treatment plans and find the resources that best fit their clients. Interventions that promote personal growth and the ability for the client to reach their goals. By using their analytical skills, human service workers can identify the resources or services that will help their clients attain their desired goals. How to evaluate and change chosen interventions and services as the needs of the client change. The importance of consistency when choosing services and programs for clients. It’s important to maintain an understanding of one’s own ethical views, the client’s views and feelings, as well as the ethical practices of the organization you’re serving. The importance of communication and interpersonal skills. The worker must show interest in working with their client and have the best interest of the client in mind at all times, especially when planning or evaluating chosen services to help clients with their situations. How long is the typical MHS program? A Master of Human Services program typically takes about two years to complete. The completion time will be affected by how many courses you take at a time (part-time or full-time) and if you choose to a specialized program versus a general one. Do I need a GRE for an MHS? What is the importance of a personal statement? A personal statement can make or break an application to any program. A personal statement isn’t a requirement for every Master of Human Services degree program, but it can give you a platform to explain your interests and motivations behind pursuing this degree. You can speak to how your personality and skills are a perfect fit for this degree and highlight any relevant experience you may have working in the field. What skills or talents make for a successful MHS student? The most successful MHS students, graduates, and professionals are those who are compassionate and motivated to provide the best assistance to the individuals they’re working to help. MHS students should also be resourceful, analytical, patient, flexible, driven, and self-sufficient. The day-to-day responsibilities of a human services professional can change at a moment’s notice, as clients progress and digress, you must be firm but flexible in the way you handle certain situations. What educational or professional requirements are needed to start an MHS program? The requirements for educational and professional experience will vary from program to program. All MHS programs require undergraduate transcripts. Some programs may require a personal statement, professional references, and a copy of your updated resume. 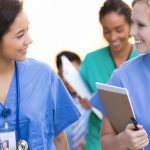 What kinds of accreditations should I be looking for in an MHS degree? Core courses for MHS programs usually cover topics such as ethics, policy, administration, and social services. Courses may be focused on working with individuals as well as working with communities and different organizations. How many credit hours are required to complete an online MHS program? The number of credit hours required to complete an online MHS program will vary from university to university. There typically aren’t any prerequisite courses required for an MHS program. Are online and on-campus programs the same? The online and on-campus program variations may be different depending on the university and specific program you choose. Many online programs feature the same faculty as their on-campus programs, but the coursework and offered electives may vary. Be sure to check with the specific MHS program you’re interested in. It’s important to look for a curriculum that will fit your specific needs and professional goals. Choose a program that offers a specialization for the audience you’re wishing to work with. It’s also important to take into account the outcomes of the program, look into what the graduates are accomplishing and what they have to say about the program. You may be interested in exploring what other services the university offers to students as well. Can I complete an MHS online? Yes. Many institutions offer MHS degrees online. What different concentrations or specializations are there for an MHS program? As the human services field is so large, there is an MHS program out there for everyone. The population you are interested in working with could help you decide what MHS program is the perfect fit for you. Programs often have tailored coursework for students with an interest in gerontology, community service, leadership, global services and policy, criminal justice, public health, family studies, human services, and nonprofit administration. How would these specializations help me in my career? Specialized coursework can help set you apart from other applicants for human service positions. 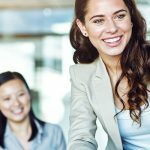 Employers may be more apt to choose you over other applicants when they see you have educational experience that is tailored toward an audience or population you may be dealing with in that specific role. The curriculum you’re exposed to as a student will give you insight into specific programs, policies, or practices that you will be able to refer to in your professional experiences. hat license do I need after graduating from an MHS program? Licensure may not be required depending on what avenue within human services you choose to pursue after graduation. Requirements may also depend on what state you live in. Do I need professional credentials? Why is certification important, and will it help me? How do I earn the HS-BCP? What careers are possible with an MHS degree? Case workers or case managers assess their clients’ needs and develop a treatment plan or course of action that includes locating appropriate resources to help them. Counselors work with both individuals and groups to assist with different life circumstances that their clients may be faced with, such as marital issues or choosing a new career. Counselors may also diagnose and treat those with mental or emotional disorders. Psychologists work with individuals with mental or emotional disorders and work to design treatment plans that will best fit the needs of each client. Social workers work with their clients to provide applicable strategies to help them cope with their behaviors or environments. Developmental directors work with organizations to strategize and supervise fundraising efforts and connect with potential donors to explain how their donations will be used to serve the community. These individuals may also act in supervisory roles over positions like grant writers. Executive directors typically act in operational positions that may include human resource management as well as budgeting. They may also meet with policymakers and community leaders to ensure the goals of the organization are fully met. Grant writers are involved in research efforts and finding sources of additional funding for the organization. They may also oversee the application process, how much funding is received as a result of their research efforts, and how that funding is spent. Program directors are in charge of creating specific programs designed around the needs of their community. These professionals also are in charge of collecting and interpreting data to see how effective the programs they’ve set in place are working. How do the career opportunities vary from state to state? What makes human services such a promising career field? What types of environments can I expect to find positions in? What other attributes, besides a degree, do employers look for? Besides a degree in human services, employers may look at a variety of other attributes. They may look for potential employees to have strong communication and listening skills, cultural competency, compassion, close attention to detail, a strong understanding of human systems and different personalities, as well as the ability to maintain personal boundaries. Specialized coursework from earning your degree may prove helpful when applying for new positions. Statistics, program management, and policy analysis courses may be helpful in understanding the necessities and responsibilities of administrative jobs. What type of employer hires human service professionals? While there are many opportunities for those with a human services degree, human services can usually be divided into three sectors: government, private, and nonprofit. 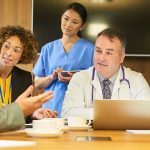 Different organizations, hospitals, private practices, agencies, schools, and other associations may fall into these three different categories. What is the average salary of someone with a Master of Human Services degree?